Allow the Coral Coast Harrison 10-ft. Wood Garden Bridge to help your lawn cross the chasm between "normal" and "stand-alone." 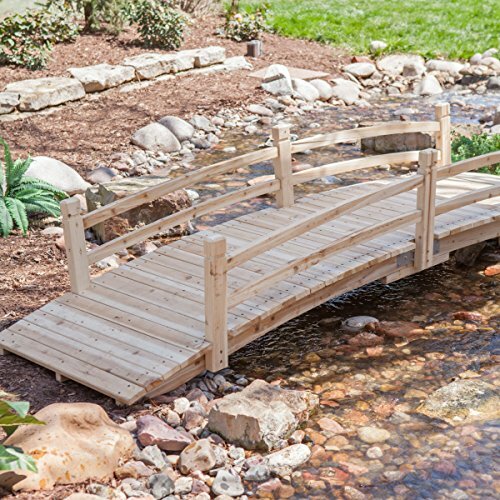 This unique bridge will set your yard apart. Crafted of beautiful, weather-resistant fir wood that's doesn't rot, mold, crack, or split, this bridge is built to last. It comes unfinished, so you can stain it any way you like or let it age naturally if you choose. Place it over streams, ponds, swales, or anywhere else in your outdoor living space that you want to bridge a gap.